Follow us on our journey to experience spooky haunted attractions, ghost tours, & anything Halloween related. Navigating your way through 26 shipping containers while simultaneously dodging multiple zombie attacks may sound like a description of a new horror film or survival video game being released. 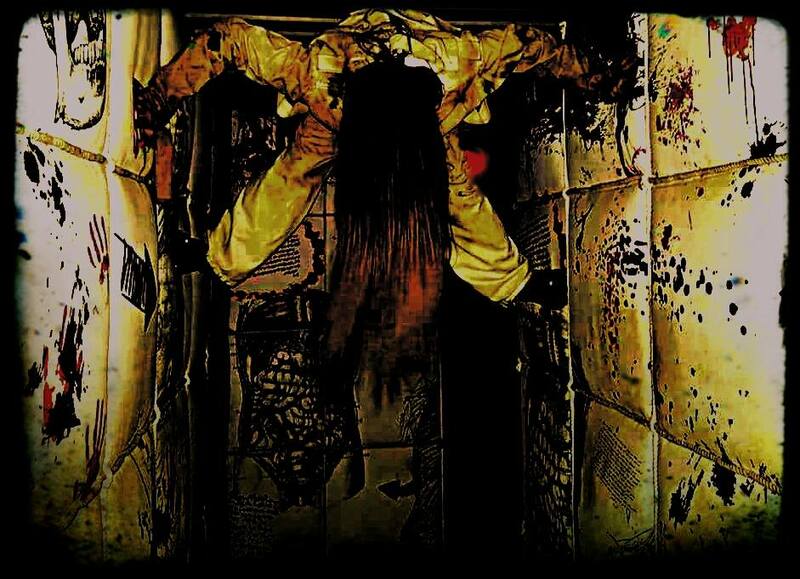 Yet, just south of Atlanta in Lithia Springs, this is a real life situation and at Containment Haunted House it’s a fast paced, adrenaline packed experience. Our team ventured out to Containment to learn what happens when you’re dropped smack in the middle of a zombie apocalypse and whether or not we could survive it. In their third year, Containment Haunted House has proven that patience, a new location, and a loyal horde of returning staff are the perfect formula to deliver a fright-tastic experience. We were eager to see if a new theme, new setup, or completely new revision awaited our arrival. While the theme has not changed since their inception, the addition of a few fantastic and terrifying scenes and the reimagining of some key elements pack a frightening punch. There are a few scenes that left us wanting more but the creative team are developing and changing scares as the season rolls on; always keeping tabs and taking notes on what works and doesn’t with guests. It’s refreshing to see haunted attractions that grow and develop over time, getting better with each year and changing with the twists and turns of modern times. 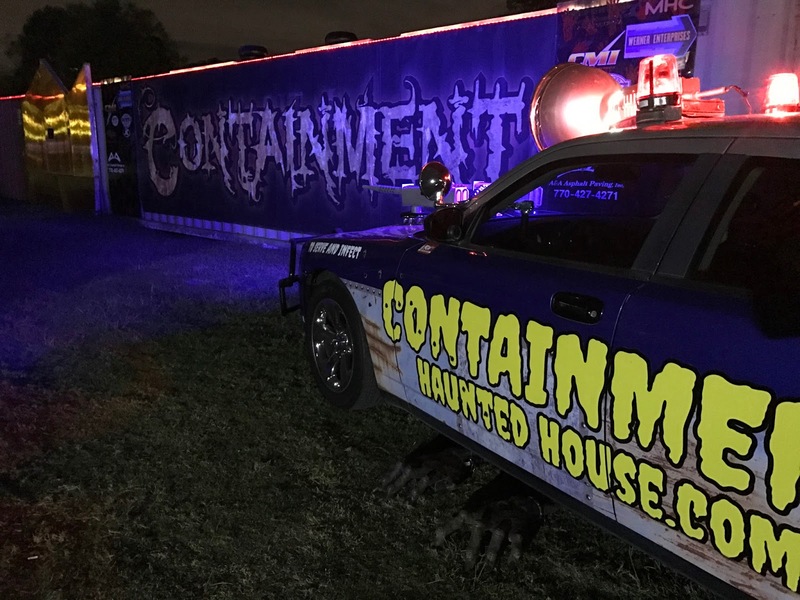 This is no ordinary walk through attraction as guests navigate their way through a multitude of shipping containers and this year Containment Haunted House completely won us over. One of the key ingredients to a well constructed haunted attraction are the actors delivering the screams to those brave enough to experience them. At Containment each scene is filled with a deluxe team of actors, some so incredibly talented we’ve added them to our list of scare actors to watch in 2016. The Reverend greeted guests with hymns so eerily beautiful you are drawn into their world without hesitation, the insanely talented patient “Ethan” delivered a near flawless performance, or the living dolls that were so convincing we couldn’t leave the scene fast enough. The actors at Containment are stellar, frightening, and will leave an impact on you for the rest of the evening. It is one the ingredients this haunt does so well and although not every character you come across are memorable, the ones that do leave a chilling impact. The beautifully designed rooms and sets at Containment Haunted House are a massive upgrade from years past. Combining the use of dilapidated props to allow guests to be visually transported to an apocalyptic setting with the stunning use of lighting in the scenes seamlessly blend to create an immaculate experience. The use of dim lighting is brilliant, perfectly positioned, becoming another character and is a great addition to this haunted attraction. The lighting is used in such a way that guests are allowed to see the stunning makeup effects on each actor, highlighting the vivid details of the hard work from the makeup team. Our favorite scene we’ve encountered thus far on our 2016 haunt tour comprised of the living dolls. It was as if this was pulled right out off the screen of a horror movie as these real life preteens create the most uncomfortable setting we’ve ever seen. With wide eyes open, staring at your every move while begging to play a game; these young ladies invade your personal space, creating ambiance straight out of a horror film. And just when you think you’ve escaped the dolls…well, we won’t spoil the fun! Overall, we thoroughly enjoyed our time at Containment and happy to report they are easily the Most Improved Haunted House in 2016. Our team was shocked at the drastic difference from prior years and loved our adventure so much we had to experience it twice. What once was scenes full of modern animatronics that delivered lackluster scares have been scraped and replaced with alluring designs perfectly setting the tone as you walk through a journey through a dilapidated zombie freak show. After learning what the creative team have in mind for the next few seasons, guests of Containment are in for one heck of a ride and we cannot wait to see what awaits us in 2017. Don’t wait around until Halloween before you experience this haunted attraction. Containment Haunted House is open select dates and is a must see haunted attraction this season. Head over to the Containment website for tickets. Check out their Facebook page to learn how to receive $5 off your ticket purchase. @paranoiahauntedhouse has done it again! Fantastic scares, brilliantly placed actors, and set designs that are breathtaking. Bravo to the entire team for delivering a spooktastic evening! We had the opportunity to check out the Spirit of Oakland tour at @oaklandcemetery last night. 👻 . . It’s the most famous cemetery in Atlanta. Each October, the historical society chooses six souls to share their story. It’s an interactive, autobiographical ghost tour. It’s amazing and quickly becoming my favorite October event! . This event sells out every year so be sure to include it in your plans for 2019. Members of the Oakland Foundation have first dibs to the tickets (which go on sale in July!) All proceeds go to restoring and upkeep of the cemetery. It’s one of the most stunning views of Atlanta and a must see during your tour through ATL. Double tap if you can’t turn off @_haunting on @netflix 😱👻 .